The Global Sustainability Fellows Program inspires, prepares, and mobilizes future international leaders to tackle urgent sustainability challenges facing the planet. The GSF Program is an educational initiative of The Sustainability Laboratory, a thought-leader in the global transition to a sustainable future, and its curriculum is based on The Lab’s unique theoretical framework. This framework combines three key elements: a rigorous definition of sustainability and a derived set of five core sustainability principles; a perspective on evolution and a theory of change; and a systems-based design approach. Taken together, these elements provide an essential road map for developing model sustainability processes and guiding project planning, within a context that accounts for the complexity of the real world. Integrating this rigorous theoretical orientation with hands-on, experience-based learning, international exposure, and cross-discipline work, The Lab offers a program with an uncommonly rigorous and comprehensive approach to addressing issues of sustainability, change processes, and development. The 2018 GSF Summer Session was held from June 16th to July 7th, 2018, at the Arava Institute for Environmental Studies in Israel. The pilot session of the program was delivered over two summer sessions at EARTH University in Costa Rica during July of 2014 and August of 2015. The GSF Program distinguishes itself through its unique theoretical framework—a hallmark of all Sustainability Laboratory initiatives—and by providing an opportunity to explore this framework in a real-world context. A rigorous definition of sustainability and a derived set of five core sustainability principles, which provide an essential road map to developing model sustainability practices. A perspective on evolution and a theory of change, which together provide a potent blueprint for addressing complexity and managing significant change processes. A whole system approach and a system-oriented design strategy, which provide a comprehensive methodology for addressing significant global issues, guiding project planning and facilitating development processes. During the program, fellows study with leading experts in the fields of systems thinking, sustainability, and sustainable development. This foundation guides the fieldwork component of the program, which consists of the analyses of local communities through interviews, site visits, and research. The program concludes with presentations of key findings in plenary sessions, attended by GSF fellows, faculty, and representatives of these communities. Each GSF session is uniquely tailored, based on its location. Fellows learn about specific regional and transboundary issues throughout the program, through classroom lectures and site visits. 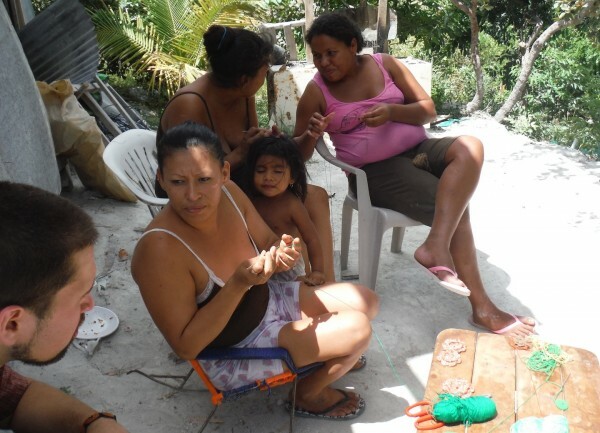 The fieldwork component of the program involves collaboration with local communities. Furthermore, fellows integrate into the program location through local travel during weekends over the course of the program. The GSF is a respected brand in sustainability education, and graduates of the program form the foundation of an interdisciplinary alumni network, where a common language and framework serve as the basis for game-changing sustainability innovations and initiatives worldwide. GSF alumni connect with one another and with other distinguished members of the Lab network, including scientists, academics, social entrepreneurs, and others, to share opportunities for collaboration and employment, news, research, and more, helping to bring about a global paradigm shift. During the GSF pilot session, fellows created a strategic sustainable development plan, “Project Transition,” with the Martina Bustos community in Costa Rica. The 2018 fellows also worked with local communities, and had the opportunity to evaluate and comment on current conditions. As the program grows, we believe that communities where fieldwork is based will continue to benefit from student work, and will serve as a real-world testament to the efficacy of the GSF approach. Dr. Michael Ben-Eli is founder of The Sustainability Laboratory, the organization that is spearheading development of the GSF Program. As an international management consultant, Michael pioneered applications of Systems Thinking and Cybernetics in management and organization. Over the years, he worked on synthesizing strategy issues in many parts of the world and in diverse institutional settings, ranging from small high technology firms to multinational enterprises, manufacturing companies, financial institutions, health care and educational organizations, government agencies, NGOs, and international multilateral organizations. In recent years, he has focused primarily on issues related to sustainability and sustainable development. He is author of the widely acclaimed five core sustainability principles, and has been working to help inspire leaders in business, government, community, and youth accelerate a peaceful transition to a sustainable future. Dr. Ben Eli graduated from the Architectural Association in London and later received a Ph.D. from the Institute of Cybernetics at Brunel University, where he studied under Gordon Pask. He was a close associate of R. Buckminster Fuller, with whom he collaborated on research involving advanced structural systems, and issues related to the management of technology and world resources for the advantage of all. 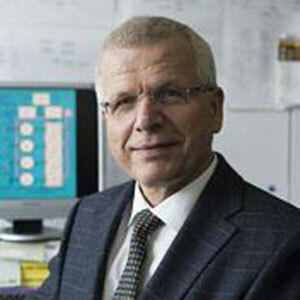 Dr. Bernard Amadei is Professor of Civil Engineering at the University of Colorado at Boulder. He received his Ph.D. in 1982 from the University of California at Berkeley. Dr. Amadei holds the Mortenson Endowed Chair in Global Engineering and served as Faculty Director of the Mortenson Center in Engineering for Developing Communities from 2009-2012. He is also the Founding President of Engineers Without Borders – USA, and the co-founder of the Engineers Without Borders International Network. 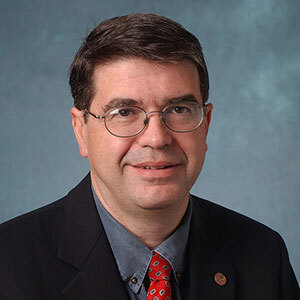 Among other distinctions, Dr. Amadei is the 2007 co-recipient of the Heinz Award for the Environment; the recipient of the 2008 ENR Award of Excellence; an elected member of the U.S. National Academy of Engineering; and an elected Senior Knight-Ashoka Fellow. He holds three honorary doctoral degrees. Tareq Abu Hamed holds a PhD in Chemical Engineering from Ankara University in Turkey. He did his first post-doctorate research at the Weizmann Institute of Science in Israel, where he worked in the Environmental Sciences and Energy Research Department. His second post-doctorate was at the University of Minnesota, in the Solar Energy Laboratory of the Mechanical Engineering Department. Tareq has published profusely in a wide variety of journals, and received several awards (Dan David Prize). He served as the Acting Chief Scientist, Vice Chief Scientist and The Director of Engineering Research at The Ministry of Science, Technology and Space in Israel. 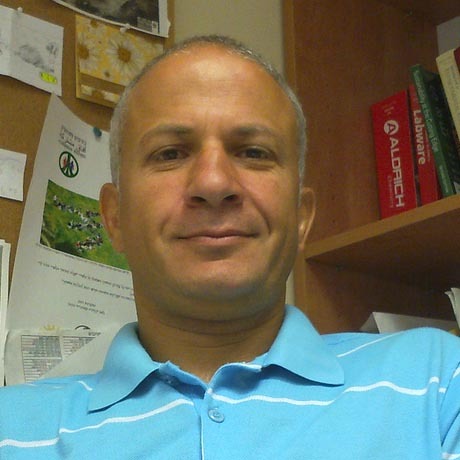 Tareq is currently the Academic Director and the head of the Renewable Energy Center at the Arava Institute for Environmental Studies and a researcher at the Dead Sea and the Arava Science Center. Peter Dean holds a BFA in Architecture from the Rhode Island School of Design and an MFA from Boston University Program in Artisanry. He has been a furniture designer/craftsman for 28 years, designing and building one-of-a-kind and limited edition pieces for the residential and corporate markets. His work is held in numerous private and museum collections. Mr. Dean has completed numerous residential architectural projects as well as several product design commissions. Prior to attending RISD, Peter was an environmental science major in college. After attending RISD, Peter did two years of graduate study in Psychology and Theology at the University of Notre Dame. 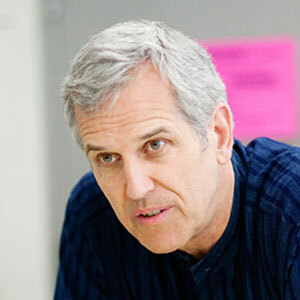 For the last sixteen years, Peter has worked as a Senior Critic/Teacher in the Department of Furniture Design at the Rhode Island School of Design where he has taught the Sophomore Studio Curriculum, the Senior Degree Project/Thesis, and Sustainability: Green Materials and Green Behavior, exploring the designer’s responsibility to this important issue. Immersed in the Strategic Planning process for RISD over the past three years and working with a few colleagues, Peter has developed a curriculum on sustainability for the whole school. This is in the form of a concentration entitled, ‘Nature/Culture/Sustainability’ and was inaugurated in the fall of 2012. Peter has designed and will teach the core course for this concentration. Peter has also developed an R. Buckminster Fuller Biennial Design Science Symposium in collaboration with the Edna Lawrence Nature Lab at RISD and The Synergetics Collaborative. Mr. Dean is also a board Member of The Marion Institute. This is a charitable organization devoted to making positive and lasting change in the world. Peter has been instrumental in developing the Sustainability Education Initiative as well as the Las Gaviotas Carbon Offset Initiative, which the UN has declared to be the model for third world rural development. So far, the team at Las Gaviotas has planted 20,000 acres of fully canopied poly-culture rainforest with another 10,000 acres to go. Peter has also worked with Las Gaviotas to market the technological innovations developed at Las Gaviotas to other third world rural areas that are contemplating development in a sustainable manner. Lindsey Zemler holds a B.A. from the University of Colorado, located in her hometown of Boulder, Colorado. She also has an M.Sc. in Environmental Sciences, Policy and Management from the MESPOM program, an Erasmus Mundus joint-programme run by Central European University (Hungary), Lund University (Sweden) and University of the Aegean (Greece). After finishing her master’s degree she began working for MESPOM in program development and coordination. Her thesis and post-graduate research work focused on pedagogy within sustainability-related masters programs, exploring how to bring together community stakeholders and academic institutions in solution-based practical projects to solve local sustainability challenges. Lindsey has been active in environmental and social issues in various communities, including conservation of marine mammals with the International Fund for Animal Welfare with the Marine Mammal Rescue and Research, participation as an AmeriCorps Cape Cod member in disaster and environmental management, peer leadership in Alternative Spring Break (Breakaway) and Real Food Challenge, as well as facilitation of a research team in Jordan looking into energy solutions. 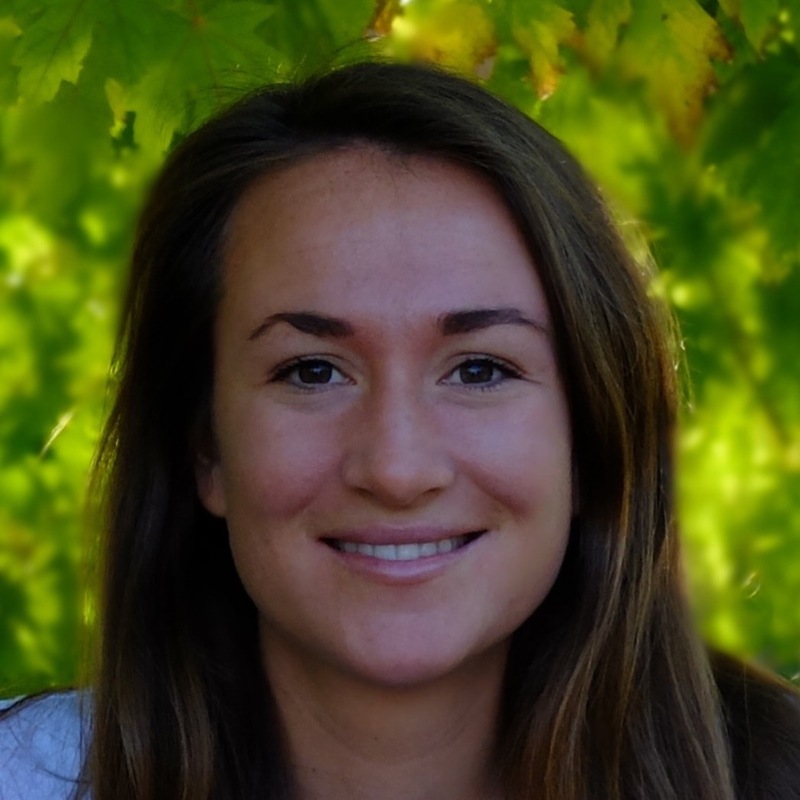 Lindsey currently works for two departments in the Arava Institute for Environmental Studies (AIES) in Israel: Acting Associate Director of the Center for Transboundary Water Management (CTWM) and Eco-Paths Coordinator. Lindsey has been involved with the work and projects of AIES since 2010, when she began as the Alumni Projects Intern. In 2011-2012 she was a Program Associate coordinating life and programming on campus for a group of on-site international students. She has also coordinated annual alumni conferences, and has been involved in the annual fundraising event, “the Israel Ride,” as a photographer and Crew Leader. 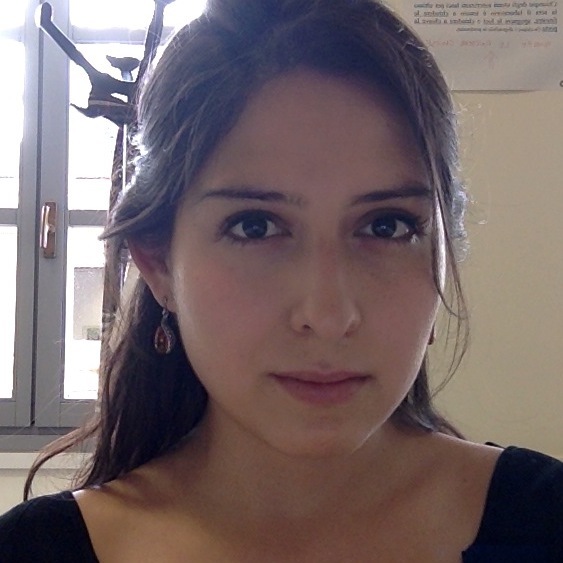 Vanessa Armendáriz is a methodologist and designer of multi-stakeholders processes for social systems analysis and strategic decision making. She consults on topics such as energy and societal metabolism, urban food security, social security, and community socio-ecological resilience and development. Her current work explores the creation of collaborative governance structures to systemically address societal challenges at local, national and regional levels in both the US and Latin America. She is a professor of System Dynamics, Sustainability Science and New Science Epistemologies, and Global South Thinking at the University of the Environment (UMA). She was a former Global Sustainability Fellow at The Sustainability Laboratory and a member of the Institute for Strategic Clarity-Vibrancy Community. She was also previously a part of the System Dynamics Italian Chapter, and the Systems Dynamics Group of Rome at Sapienza University of Rome. She is experienced in policy analysis, policy implementation issues and socio-ecological modeling in diverse international projects with international organizations such as ILO, UN, EU, CARE as well as with various national governments. Vanessa holds an MSc in System Dynamics from the University of Bergen, Norway and the Universidade Nova de Lisboa, Portugal, as well as an MBA in Strategic Decision Making from Radboud University, Netherlands. She received her BA in International Studies (Hons) and BPA in Public Administration (Hons) at the Universidad de Monterrey. She is currently pursuing the first MBA in Global Ecosynomics. 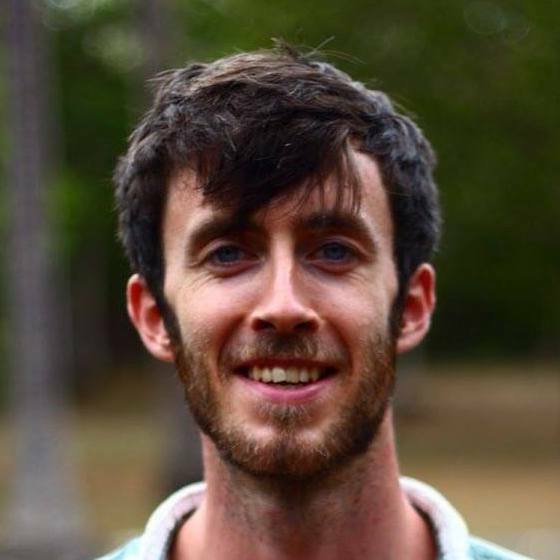 Conor Meehan is a GSF Fellow from the 2014 and 2015 pilot sessions in Costa Rica. He holds a Bachelor of Arts in Philosophy and Sociology from Trinity College Dublin, and is a graduate of the European Master in System Dynamics, a two-year joint masters program between the University of Bergen, Universidade Nova de Lisboa, and Radboud University of Nijmegen. Upon graduation, Conor and five of his classmates formed a consulting group known as Loops Consulting, with the aim of spreading the skill of systems thinking and systems modeling to help students and professionals deal with complex challenges. Loops Consulting’s first project was to create an online education module for The Sustainability Laboratory, using the language of system dynamics to demonstrate the operational meaning of The Lab’s definition of sustainability and related five core principles. For this work they were awarded the Barry Richmond award at the 2017 International System Dynamics Conference in Boston. Conor has also worked for Aegon, one of the largest financial institutions in the world, where he was tasked with determining different pathways to achieving the firm’s goal of carbon neutrality by 2020. Since then, Conor has been working at GLG, a professional learning platform that connects its clients with industry experts. 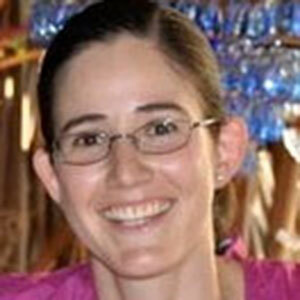 Therese Bennich has a background in political science, systems analysis, and modeling of social-ecological systems. Currently she is doing a PhD at Stockholm University and University of Clermont Auvergne, exploring transition pathways towards a bio-based economy in the Nordic region. Her PhD is part of the broader AdaptEcon program, an EU-funded project bringing together PhD students, universities, and NGOs with the overarching aim of developing new economic thinking and models for sustainability. Aside from using modeling as a tool to better understand and support sustainability transitions, Therese is interested in education for sustainability and how it can be used to inform action. She is part of a team developing PhD courses on transdisciplinary research for sustainability science, and is increasingly getting involved in teaching at her home university in Stockholm. Outside the academic context, she has been engaged in projects related to women’s rights, community development, and land rights, working with NGOs based in Sweden and Malawi. 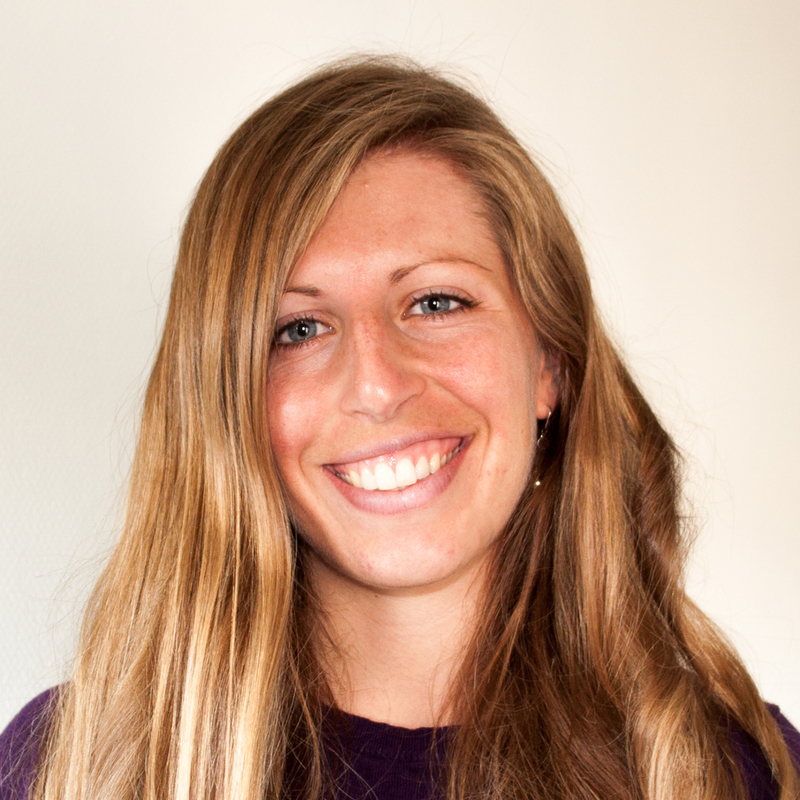 Additionally, she is the co-founder of two companies (Loops Consulting and Fair Way Solutions), where she and her colleagues are currently working to spread the use of systems thinking, as well as to coordinate and direct funding to green start-ups and innovative, small-scale projects supporting sustainability. 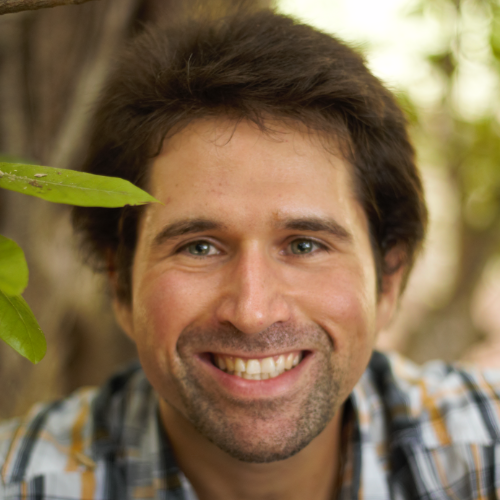 Lee Frankel-Goldwater is a professional environmental educator, writer, and social-good project developer, as well as a recent graduate of NYU’s Environmental Conservation Education Master’s program. Lee has also studied in Israel at the Center for Creative Ecology on Kibbutz Lotan, and at the Arava Institute for Environmental Studies. Currently, he is leading development of the Global Action Classroom, an Earth Child Institute initiative focused on global youth environmental cooperation, and helping to create the Global Sustainability Fellows, a Sustainability Laboratory program seeking to design a new, innovative international sustainability graduate program. Lee can also be found developing mobile applications for encouraging social action, working on mixed media video design, leading peace and environmental education workshops, and doing his best to live a life in harmony with the Earth. Tali was born and raised in Philadelphia. She is a member of Kibbutz Ketura where she lives with her husband and two teenage daughters. Tali received a B.Sc. from the Hebrew University of Jerusalem. She worked for several years as an Occupational Therapist and then studied organic farming. Together with her husband she managed a cooperative organic farm for 12 years. 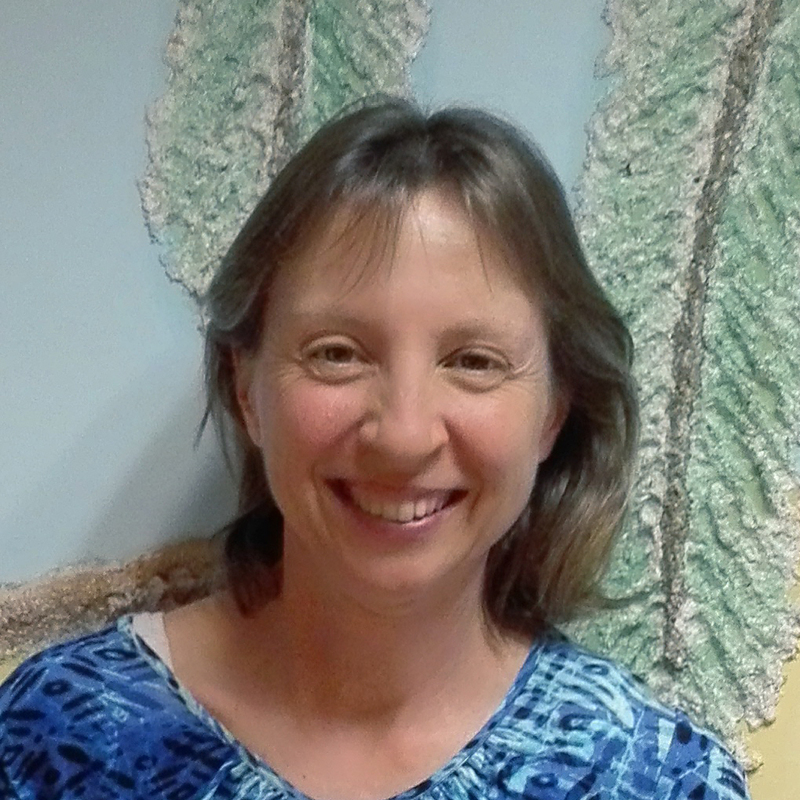 Since moving to Ketura she has worked at the Arava Institute, where she coordinates short-term programs, study tours, conferences and workshops. Tali will be coordinating all the logistics for the GSF program. 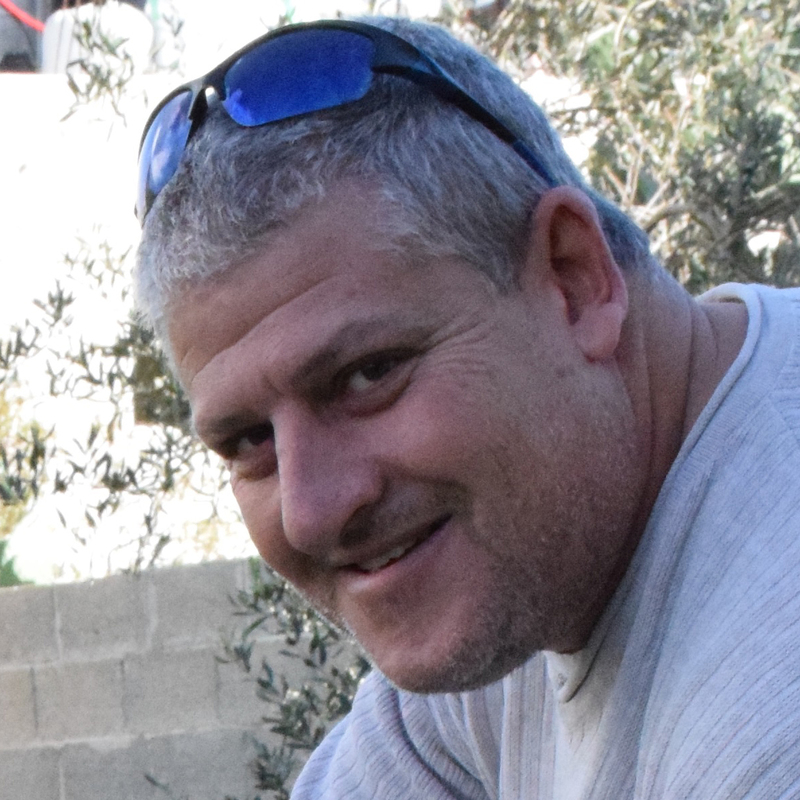 Mr. Lehrer holds a joint Masters Degree in Management Science from Boston University and Ben Gurion University and has been the Director of the Arava Institute for Environmental Studies since 2001. 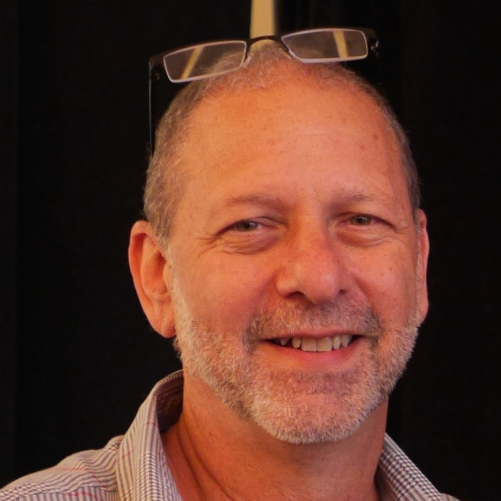 Mr. Lehrer has also worked as a business consultant for kibbutzim, small businesses, the Hevel Eilot Regional Council and the United Kibbutz Movement and has twice served as an emissary for the Jewish Agency for Israel in the United States. Among Mr. Lehrer’s other activities are the founding of the Green Kibbutz Association and the founding of the Alliance for Peace in the Middle East organization. His research includes studies on the effectiveness of the ISO 14001 environmental management system and sustainable development in the Dead Sea basin. Mr. Lehrer is presently pursuing a doctorate at Ben-Gurion University’s Department of Geography researching the cost of nature protection in Israel. Mr. Lehrer moved to Israel in 1978 and has been a member of Kibbutz Ketura, a rural cooperative, since 1981. He is married to Barbara Pinsker and they have three daughters, Avigail, Ariana, and Meital. Dr. Elaine Solowey received a B.Sc in Commercial Horticulture from the University of California (Davis) and Penn State University and went on to complete a M.Sc and PhD at Columbia Pacific/Weber State University. Her masters work was on desert agriculture and her PhD focused on land reclamation. In 2016, she received the Ben Gurion Prize for the Development of the Negev. Her current research covers a wide range of subjects, from the study of endangered medicinal herbs, to the search for plants that can be grown in marginal and arid areas employing underutilized water resources, as well as the study of biblical plants native to southern Israel and Jordan. 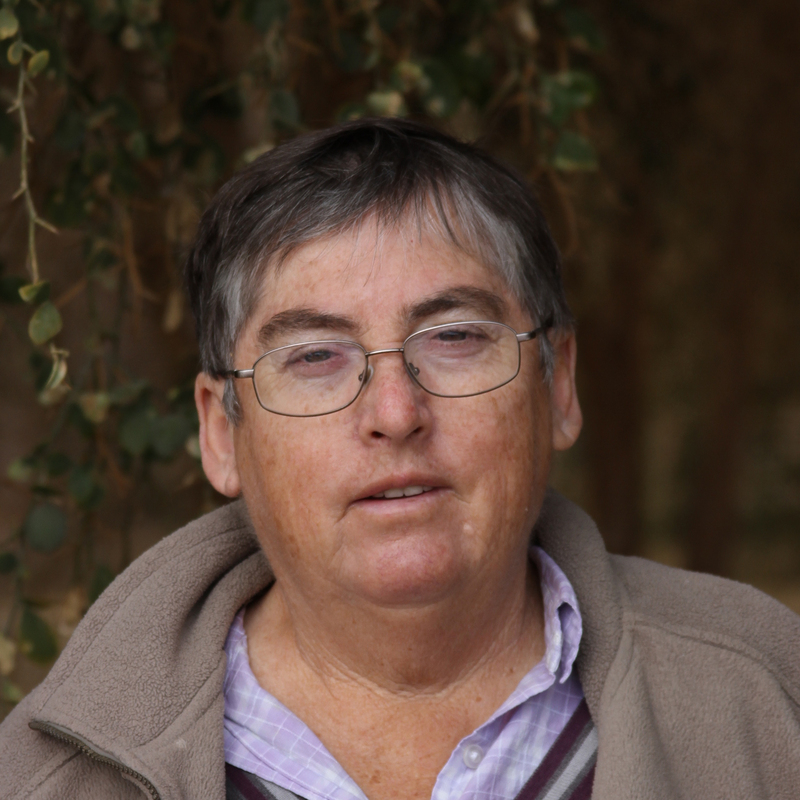 Her ongoing research explores crops suitable for arid and saline lands. Dr. Solowey is also a member of Kibbutz Ketura. Her books include: Supping At God’s Table: A Handbook for the Domestication of Wild Trees for Food and Fodder, and Small Steps Towards Abundance: Crops for A More Sustainable Agriculture. Clive was born in South Africa and raised in Johannesburg. He received his first degree in applied psychology and zoology with an emphasis on wildlife management on private game farms in South Africa’s Northern Province. 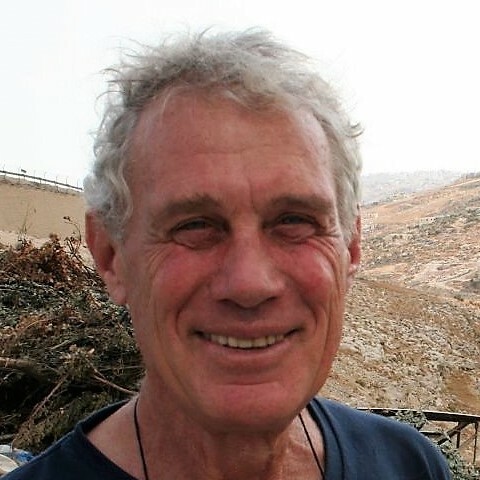 Clive immigrated to Israel in 1991 and received a masters degree in desert ecology from the Ben-Gurion University of the Negev. In 1996, he left Israel to pursue a PhD in resource ecology management at the School of Natural Resources and Environment at the University of Michigan. The focus of Clive’s PhD was public perceptions and attitudes towards water scarcity in Israel. Clive joined the faculty of the Arava Institute in 2003 where he teaches a multidisciplinary course on water management in the Middle East. 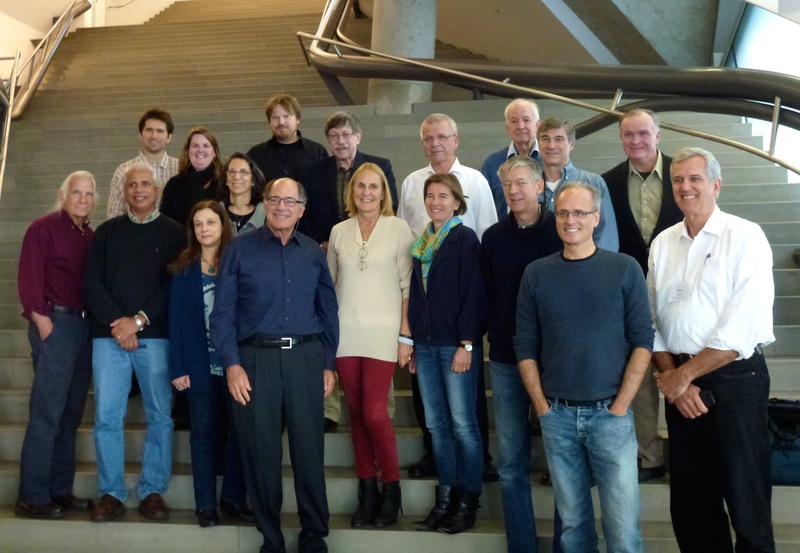 Clive oversees research projects, workshops and conferences that focus on transboundary water and environmental problems facing Israel, Jordan and Palestine. His specialty is in water resources management and policy. Currently, Clive is coordinating the TransBasin—Transboundary Water Basin Management Project, a project funded by the International Research Staff Exchange Scheme of the European Union. This project brings together researchers from Europe and the Middle East to study conflict and cooperation in river basin management and to identify the principles and mechanisms that both promote and hinder cooperation in river basins in Europe and the Middle East. Clive is also coordinating a USAID funded project on mitigating transboundary wastewater conflicts between Israel and Palestine and is conducting research on solar powered desalination of brackish groundwater in the Gaza Strip. Clive has published and presented widely on the topic of transboundary water management in the Middle East and has served as senior editor on two books: Integrated Water Resources Management in the Middle East, and The Jordan River and Dead Sea Basin: Cooperation amid Conflict. 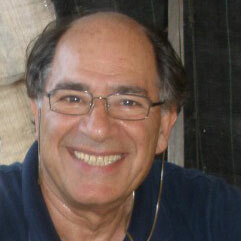 Avner Goren is an archeologist, educator, historian and author. For fifteen years, Avner served as the Chief Archaeologist of the Sinai Peninsula. During his tenure, he founded the Sinai Institute for Science and Arts, creating master plans for the development of the region, which changed the Sinai from being an unknown land into a worldwide center of “pilgrimage” for lovers of nature, beautiful scenery, culture, and history. 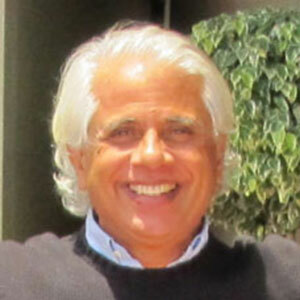 Avner is a world-renowned expert in the field of Bedouin and desert archaeology. He has been at the forefront of many projects designed to preserve the Bedouin traditions and was one of the founders of the Museum of Bedouin Culture in the Negev. He is also an expert in the field of cultural tourism and has headed numerous seminars in Israel and abroad for the Open University, the Biblical Archeological Society and the Biblical Archeology Review (USA), the Israel Archaeological Society and others. Recently, he was appointed the chair the of the Israel Archeology Foundation. Avner was the main protagonist of three bestselling books: Walking the Bible, Abraham, and Where God Was Born, all of which ended up on the New York Times bestseller list. In 2004, Avner also joined the author, Bruce Feiler, in a PBS three hour television documentary series, tracing the story of Walking the Bible. Since 2007, Avner has been a research fellow at the Negev Center for Regional Development, Ben Gurion University of the Negev. He is deeply involved in The Kidron Valley Initiative and Masterplan, advising on matters of heritage, culture, archaeology, history and pilgrimage, and tourism development, and assisting in creating economic activities and models. 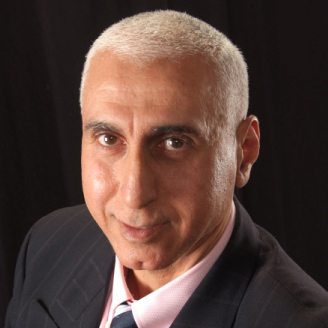 Mohamed Nofal has over 20 years of experience in the fields of Civil, Environmental and Geotechnical Engineering. He received a Bachelor’s degree in Civil Engineering as well as a Master’s degree in Geotechnical Engineering from the University of Louisville in Kentucky. He also received a Master’s degree in Environmental Engineering from the University of Tennessee, Knoxville, and is currently pursuing an MBA from the University of Colorado. Mr. Nofal has worked for several A&E consulting firms on several high profile engineering projects. He is presently working with RES-Americas, an industry and world leader in renewable energy. His responsibilities include providing technical guidance and management to wind farm and solar plant projects, tower foundation design, project site grading, drainage issues, and hydrologic and hydraulic analyses. Mr. Nofal is also responsible for providing innovative solutions to complex field problems, with a focus on safety, innovation, constructability and cost-effectiveness. Mr. Nofal is interested in promoting economic development through environmental awareness and sustainable design in the areas of water resource management and energy efficiency. He lives in Broomfield, Colorado with his wife and children. 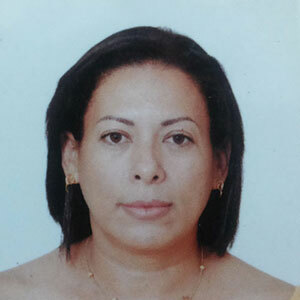 Irene Alvarado Van der Laat graduated as an agriculture engineer from the University of Costa Rica. 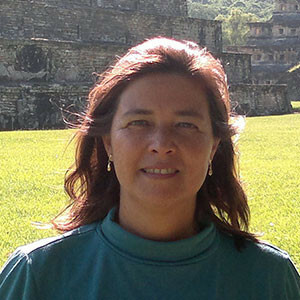 She received an MBA in Business Administration with a focus in Agro-Marketing from the Technological Institute Costa Rica and a Ph.D. from the Universidad Latina in Economical and Entrepreneurial Sciences.Irene became part of the EARTH University team in 1992, where she worked as an Academic Program Administrator and then as the Director of Marketing for EARTH University’s Products Program. In 2000, she became a full-time faculty member in the University’s Entrepreneurial Projects Program, where she is now a director and lead coordinator. In 2001, she founded the Young Entrepreneurs Club, and shortly thereafter was selected to represent Costa Rica at the US Department of State’s Environmental Protection and Sustainable Development Program. She is the recipient of the Best Investigation Prize at the VII International Entrepreneur Congress in El Salvador (2004), the Galpin Fellowship from Quinnipiac University in Connecticut (2010), and the highest prize from the Literati Network Awards for Excellence for her investigation on entrepreneurship (2011). Today, Professor Alvarado focuses her time researching environmental economics projects, sustainable value chains of agricultural products, and the promotion of entrepreneurship habits and disciplines to create a more just society. 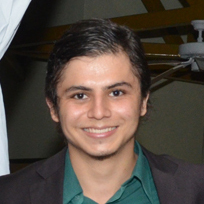 Antony Castro graduated from EARTH University in 2014 with a degree in Agronomic Sciences. During his studies, he traveled to the Peruvian Amazon for an internship at the Villa Carmen Biological Research Station, where he worked on the establishment of a rustic entomopathogenic laboratory and a root health diagnostic for local banana plantations. There, he also learned a technique for the production of soldier flies, whose wastes can be used for nutrient-rich compost or converted into animal feed. 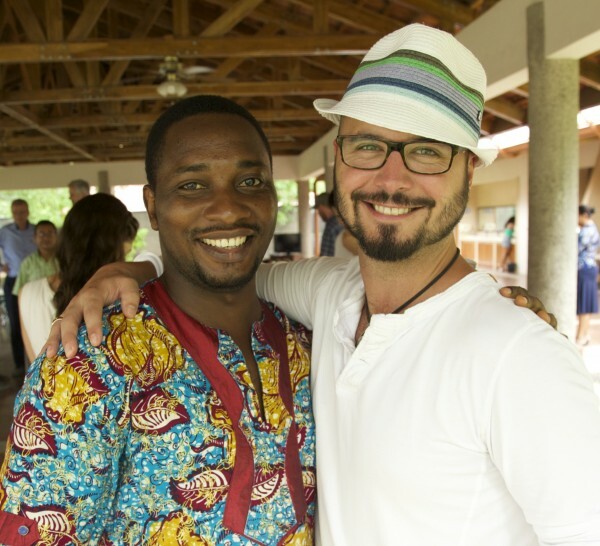 As a senior at EARTH University, Antony won a contest sponsored by the Development International Bank for his work with soldier fly production, which he brought to EARTH’s organic farm He now continues refining this technique in a post-graduate project at the University. As a graduating senior, Antony also won The Sustainability Prize from The Sustainability Laboratory for his graduation project: a portfolio of interventions for retrofitting his family home for sustainability. Part of this project involved the growth and sale of hydroponic lettuce from his family home, an enterprise he plans to expand with the investment of the prize money. Antony, a native Costa Rican from the area, will be preparing the groundwork with the Martina Bustos community before the arrival of GSF fellows in Costa Rica. Dr. Markus Schwaninger is Professor of Management at the University of St. Gallen, Switzerland. His research is focused on the management of complex dynamic systems. 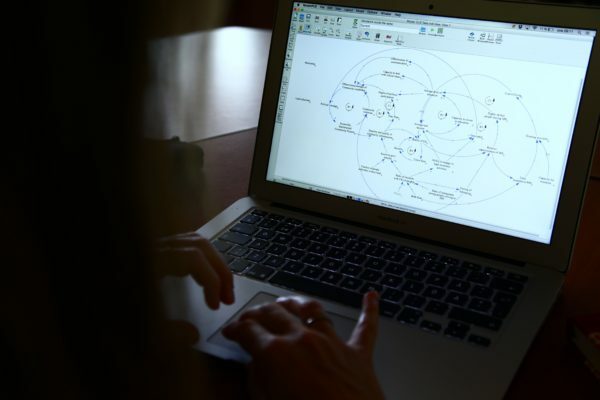 His methodological emphasis is on Organization Cybernetics and System Dynamics. Research projects to date have been related to organization intelligence, model-based management, the design, transformation and learning of organizations, and to systemic issues of sustainability. Schwaninger is also a director of the World Organization of Systems and Cybernetics. Dr. B. K. Singh is Professor of Soil Science at EARTH University. He obtained his M.Sc. in agro-chemistry from PFU, Moscow, and his Ph.D. from the Department of Soil and Water Science at The University of Florida, Gainesville. He has been working for EARTH University in Costa Rica since 1990. During this period, he has held different positions: Professor of Soil Science, EARTH University, 1990 – Present; Associate Professor in the Soil and Water Science Department at The University of Florida, 2005 – Present; and Project Coordinator of the Sustainable Agriculture and Natural Resource Management Project (SANREM), 1994-1999. He was principal investigator of the US Department of Energy (DOE)-funded EARTH University Foundation Biofuel Project, a multinational project on structure- based drug design for Chaga’s Disease, as well as the Lemelson Foundation-supported Hub and Spoke model to promote invention, innovation and entrepreneurship at academic institutions and rural communities. Professor Singh has been providing training and conducting international workshops in soil and plant nutrition for the past 20 years. He has developed, registered, and established an entrepreneurial base for over 20 products to improve soil and plant health, water treatment, and public sanitation. Dr. Singh is co-founder of Green Roots Consultants, a consulting firm dedicated to providing local solutions to global challenges in agriculture production, natural resource management, and human capacity enhancement. He has advised over 50 research theses in soil fertility, plant nutrition, and environmental health. Jholenny Córdoba Chaves completed her undergraduate studies in Economics and Social Planning at the National University of Costa Rica, and her M.Sc. in Social Development at Universidad Libre de Costa Rica. For the last six years, Jholenny has coordinated the academic program at EARTH University’s La Flor campus. She has ample experience working with rural, marginalized, and border communities in association with various institutions that focus on training, environmental protection, and youth development, including the National Learning Institute (INA), the Ministry of the Environment, World Vision, and Fondo de Canje de Deuda Costa Rica-Canada. The GSF’s institutional base is comprised of 12 academic institutions, many of which have been involved with the program since its initial development in 2012. The Department of Civil and Environmental Engineering of the Technion, Haifa, Israel. The Rhode Island School of Design, Rhode Island, USA. The Mortenson Center in Engineering for Developing Communities, of the University of Colorado, Boulder, USA. The Science Faculty of the University of Sydney, Australia. The Management Institute of the St. Gallen University, Switzerland. The Munich Competence Center Ethics, at the Ludwig Maximilians University, Munich, Germany. The Payson Center for International Development, at the Law School of Tulane University, New Orleans, USA. School of Marine and Atmospheric Sciences, at Stony Brook University, New York, USA. The Institute of Human Nutrition, Columbia University, USA. The Medical School for International Health, Columbia University Medical Center, USA. Institute for Sustainable Design, Cooper Union, USA. EARTH University, Limon, Costa Rica. If you are a professor at an accredited academic institution, and you are interested in participating in the GSF, please contact us and let us know. We are happy to hear from you. The Sustainability Laboratory works to address urgent sustainability challenges facing the planet by creating and demonstrating effective tools for catalyzing radical change. Founded on the belief that effective responses will not likely emerge from the same methods and mechanisms that perpetuate the existing crisis, The Lab is being organized to foster bold experimentation with untested ideas, approaches and technologies that transcend prevailing conventions. Based on the work of founder Dr. Michael Ben-Eli, The Lab has developed its own unique, action-oriented conceptual framework to guide its activities, taking a holistic perspective and featuring cross-sector and cross-disciplinary collaboration. Using this framework, The Lab’s initiatives focus on identifying key sustainability-related issues and developing a portfolio of cutting edge approaches and demonstration projects. All Lab projects apply this comprehensive framework to showcase radical innovations, as manifest by The Lab’s current flagship project, Project Wadi Attir, a Bedouin-led sustainable development project in the Negev Desert. The Lab is being developed as a network linking advanced research centers mapped onto specific eco-zones around the world. The centers will subscribe to a common set of principles, values and operating practices. To this end, The Lab’s educational efforts—including The Global Sustainability Fellows Program, described below—are crucial to The Lab’s broader goals and to addressing the urgency of mobilizing global talent to work collaboratively towards a better world.